Obstetrics is a branch of medical science dealing primarily with pregnancy and childbirth. Unlike regular gynecology, which focuses on women’s health in general, obstetrics examines the individual’s health during all phases of pregnancy and determines if there are any expected complications when the fetus is ready to be delivered. Often during pregnancy a woman will experience drastic changes in her immune system, hormonal output and nutrition requirements. This is normal as the expectant mother is in a sense looking after two people already. However in the second and third trimesters as well as during delivery, certain condition can arise that, if not properly identified, could lead to ongoing health problems for both the mother and newborn. When a woman is determined to be pregnant, her physician may run a few routine tests to insure that the chemical balance in the expectant mother is normal. But during the second and third trimester a number of tests can be performed to see if the fetus is developing properly, has any prenatal deformities and whether the pregnancy itself calls for a natural delivery or cesarean birth. Rarely does a blood test or urinalysis fail to reveal possible problems, but in some cases an obstetrics professional may not order the appropriate tests or misdiagnose a complication indicated by an x-ray or MRI. Early delivery recommendations have also known to be a poor decision on the part of some obstetricians. And the birth itself may be accompanied by unforeseen complications, such as the fetus not being positioned correctly. Sometimes last minute decisions are made by the attending physician, in most cases agreed to by the expectant mother. 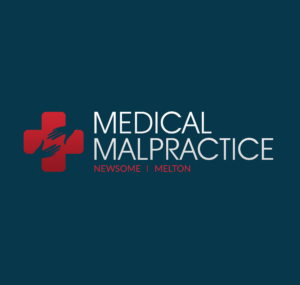 If there is a complication resulting in a birth injury, the possibility of reimbursement or damage collection rests in the hands of a judge, usually centering on evidence that either points to negligence, general malpractice or in some cases, an unavoidable event. These are the most common malpractice suits involving obstetricians and doctors overseeing childbirth. The injury could be to the mother or to the newborn, but in either case the determination will be possible negligence or a natural event which could not be prevented. Only about one-half of one percent of live births involve an injury to the mother and/or child, and these incidents are studied very carefully by the hospital or birthing center, the medical board and of course the attorney assigned to the case should it come to court. Most birth injuries and complications are due to a lack of oxygen for the fetus, the use of improper instruments when performing a difficult birth technique, or introducing infectious agents into the birth canal. Also there are suits filed that deal with a medical decision to use a birthing technique without the mother’s or her family’s consent. A tubal pregnancy, also known as an ectopic pregnancy, is a result of the fertilization of an egg that is not inside the uterus. In these cases, implantation typically occurs inside the fallopian tubes. Ectopic pregnancy is the most common reason for miscarriage in the first trimester of pregnancy. When an ectopic pregnancy occurs, a doctor must perform an ectopic surgery to remove the fertilized egg. The major step in the laparoscopic surgery is to make an incision to remove the egg. It is not typically a difficult surgery and the patient is not required to recuperate long in the hospital. It does not take much time to heal either. If the fallopian tubes have ruptured as a result of the pregnancy, however, there is an increased risk of excessive bleeding, which can be extremely dangerous. The abdomen is opened and the fallopian tubes may be removed. Even with the best doctors, the procedure has its risks. Risks associated with this procedure include infection, hemorrhaging, injury to internal body parts, and a bad reaction to anesthesia. While doctors are highly skilled professionals, they may make mistakes. Doctors may become negligent or careless with their work, though it is not common. Some doctors may not diagnose a tubal pregnancy correctly, causing the patient to hemorrhage. This can lead to death. During the surgery, negligence occurs if the doctor does not remove the egg correctly. It may continue to develop or cause future tubal pregnancies. Some women are not able to maintain pregnancies after surgery at all. A woman who gets an infection as a result of the surgery may have to have all her reproductive organs removed.